A shooting at the YouTube headquarters in San Bruno, California, turned out to be the work of an angry Youtuber who was censored and demonetized by YouTube, after which she sought to murder YouTube employees in an act of revenge. See the full details about Nasim Aghdam / Nasima Sabz at this link. Nasim Aghdam was no typical “shooter.” She was a left-wing Farsi-speaking vegan into auras, fitness and the vegan food pyramid. On her website, she railed against YouTube for censoring her channel and reducing her earnings — something YouTube has deliberately done to tens of thousands of content channels, including my own now-terminated channel, “TheHealthRanger” (which was terminated without warning or justification). As this event first began to unfold, I immediately wondered, “Is this a revenge shooting from someone whose content channel was banned by YouTube?” At first, the media reported this was some deranged girlfriend targeting her boyfriend who worked at YouTube, but as more facts have emerged, that doesn’t seem to be the case at all. This was, we now know, the first known case of a censored Youtuber escalating the war on free speech into a kinetic response (i.e. an attempted mass shooting). As more and more people are coming to realize, this systematic censorship of freedom of expression by YouTube is an act of war against the freedom to speak, as it violates the first and most important divine right set out in the Bill of Rights: Freedom of Speech. As with all such acts of war, it will eventually spawn repercussions from those whose lives are being adversely affected (or even ruined) by YouTube’s assault on free speech. This is precisely what we witnessed today with the YouTube shooting. It’s not excuse for the shooting, of course, but rather an attempt to try to understand the mental state and twisted justifications of the shooter herself. The important thing to realize is that she’s probably not alone in her convictions. YouTube employees might be wise to ponder the unfortunate repercussions they now face from certain unstable individuals in response to YouTube’s intense evil, oppression and censorship of content creators who are merely trying to have an honest platform to be heard in a peaceful, non-violent way. As I stated in a previous podcast, recorded weeks ago, “YouTube cannot suppress human freedom.” They can try, for a while, but there will always be efforts to correct their attempt at oppression of free expression. 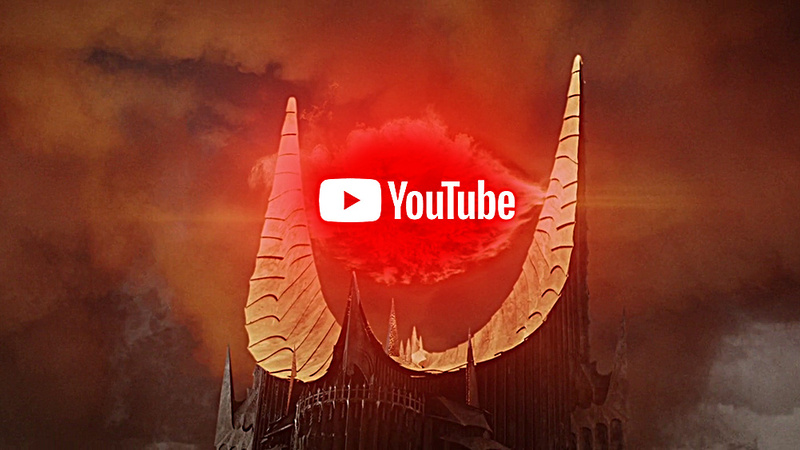 The people who work at YouTube are probably just now realizing that their overlord employers (Google / Alphabet / YouTube) actually thrust them into a very serious war without telling them so. You don’t just get away with obliterating the First Amendment rights of people without, sooner or later, dealing with some blow back in various forms, from all sorts of people across a spectrum of responses (some reasonable, some violent, some even deadly). When YouTube began ruining the lives of video content creators with punitive “deplatforming” algorithms and selective banning of independent voices, they apparently failed to foresee that some of those people might feel assaulted or violated by such actions. And in a few extreme cases like the one we’ve all witnessed today, some individuals might decide to declare physical war on YouTube employees who they see as being responsible for their lives being ruined. My next unfortunate prediction, but not an endorsement of such actions, obviously, is as follows: At some point if the tech monopolies continue to press for the silencing of all independent voices who question the status quo, there will likely be an escalating response from those whose lives are being ruined by Google / YouTube. Not everybody, obviously, has the resources to do what I did when YouTube censored me: Launch a competing video network called REAL.video. That’s how I deal with censorship: I just launch an alternative and invite the world to use it. (Over 16,000 people have requested video channels so far, with hundreds more joining each day…) But other people, not having access to such opportunities, might be less adaptive, or more angry… and they might snap and do something violent. Although I hope such attacks never happen, it seems inevitable that more will occur, especially as YouTube continues to pursue a deeply evil policy of silencing and demonetizing independent voices. We never want to see violence taking place in response to tech overlords abusing their power, but when I see stories of cab drivers committing suicide en masse in New York City because of the rise of Uber, I’m wise enough to know that monopolistic technology companies really do ruin the lives of many people. Some of those people might kill themselves, and others might arrive at a point of such deranged anger that they seek to take a whole bunch of other people with them. So far, YouTube has been operating in a delusional fairyland where all YouTube employees magically think they can wage a censorship war against people they don’t like, without any real-world repercussions whatsoever. But people whose lives are ruined by the tech giants can, as we’ve now seen, decide to take their grievance to the real (physical) world and put tech company employees in the direct line of fire, as we saw today. After all, YouTube employees are made of flesh and blood just like everyone else. I’m afraid we’re now starting to see some real-world repercussions, and I fear it’s only going to escalate as Google amps up its own war against the freedom to think. These shots fired at the YouTube headquarters may actually be the opening salvo of the coming civil war that engulfs the campus buildings and employees of Google, YouTube, Facebook and even Twitter. Have no doubts that all these tech giants are urgently beefing up security of their campus buildings, knowing that their employees are insanely vulnerable to “revenge” attacks from an ever-increasing number of people whose lives have been destroyed by Google, YouTube, Facebook or Twitter. Seriously, what did they think would happen? I seem to recall Milo Yiannopoulos predicting that “the Facebook headquarters will be firebombed” or something similar, in the coming civil war. (He wasn’t advocating such actions, but merely predicting they would occur.) Once again, Milo was eerily accurate in that prediction, because the shooting has already begun at YouTube headquarters. Stay informed. Read YouTubeCensorship.com for more coverage of evil YouTube, and read Censorship.news for headlines from across the evil tech industry.